Stop by your nearest Origin Store to receive a FREE Tube of Ojon Conditioner! No purchase necessary! Get 1oz. 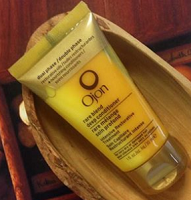 trial size tube of Ojon Rare Blend Deep Conditioner for hair at Origins Retail Stores.